There are two common causes of ear infections. 1. an infection to the middle ear. 2. an inflammation of the outer ear canal. Ear aches can be caused by infection in the nose, throat or ear. So when you have an ear ache this Instructables should give almost immediate relief of your ear pain. We need to clean the garlic because right now its really dirty! After that we just cut the ends off, we don't need them either. 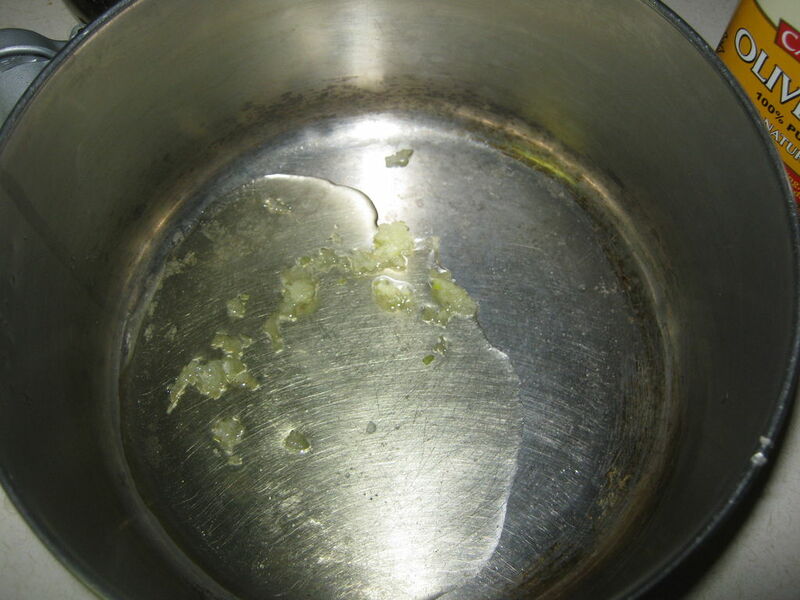 Use your garlic press to Smash the garlic into the pan. If the garlic sticks to the press, then use your knife to scrape it off. After you have added your garlic, add your 3 tbsp of olive oil. All you want to do is warm up the garlic and olive oil. So place the pan over a medium flame and stir until it's warmed up to body temperature. Now you need to let it cool off so its comfortable to the ear. After it's cooled off, turn your ear that's in pain to the side so that its facing straight up. Then just drop 2-3 drops into the ear. Put the tissue slightly in the ear pressing against the ear. You should have some left over and instead of making more every time you have an ear ache, you can store in glass container. Just pour into small container with lid and store at room temperature. Enjoy an ear without pain! On a final note, you can mix red wine vinegar with this to make a great salad dressing!